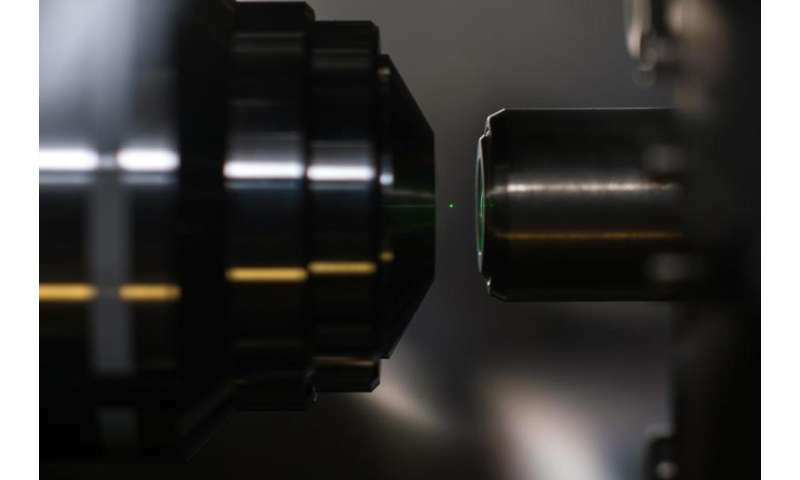 A nanodiamond containing hundreds of nitrogen vacancies glows while levitated by a laser during an experiment in Nick Vamivakas' lab at the University of Rochester. The team have now continued the research to use nanodiamonds with single vacancies and to do the experiments in vacuum. 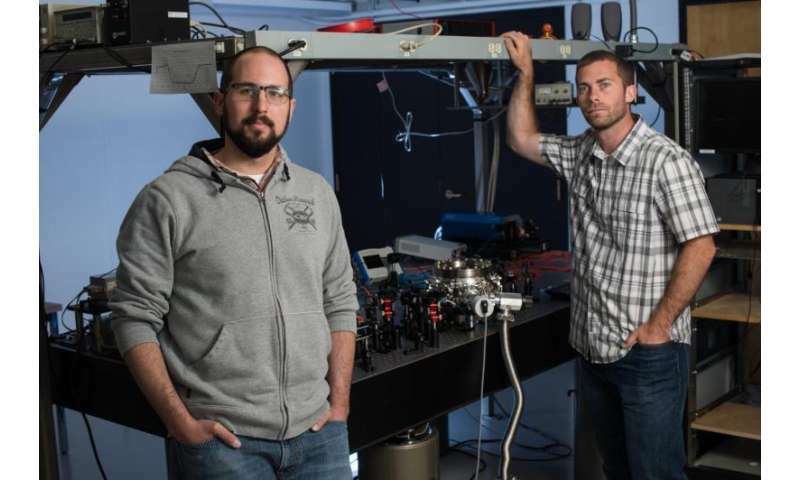 Credit: J. Adam Fenster/University of Rochester.